Sail through the winter healthy and ready to enjoy the season with this winter remedies workshop. You can stay healthy when everyone around you gets sick. Adaptogenic herbs and lifestyle adjustments can make all the difference! The first part of the workshop will focus on building a strong immune system. Then we’ll delve into herbal remedies! This isn’t going to be your regular “making fire cider” workshop! What’s different is that you’ll discover the constituents in the ingredients that allow them to relieve viral symptoms and eliminate the virus from the body. 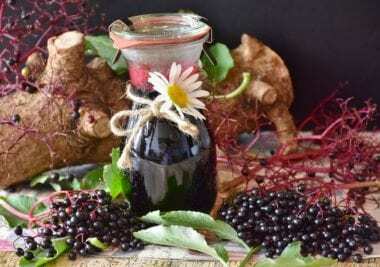 That brings greater understanding of how the plants are working the body and give you the tools to talk about herbal medicine with others who might be skeptical. Sample! A vegetarian immune boosting soup will be served and a demonstration of a wonderfully soothing Breathe Easy Balm will be given to the students to take home. Make and Take! Students will add to their herbal medicine tool belt, and make and take home fire cider and a remedy made from provided local wild plants! 5. 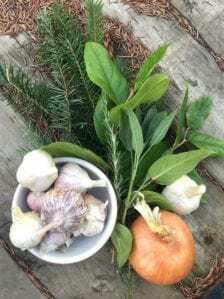 A medium onion, head of garlic, 5 inches or so of ginger, 2 hot peppers of choice (or not if allergic to plants in the nightshade family), a lemon, and 2 inches of horseradish.